(Austin, Texas - May 25, 2011) - Currently 16 known horses in Texas that attended the event and 185 cohorts (stablemates) remain under movement restrictions. There are a total of ten premises that have been exposed and those premises are in the following counties: Randall, Parker, Jack, Kerr and Mills counties.The single confirmed case which was a horse from New Mexico that sought treatment in a veterinary clinic in Texas is now recovering. The horse returned to its original premises of origin. The single “suspect” case that was reported Thursday, May 19, from Jack County tested negative for EHV-1, however was euthanized due to the severity of its unrelated illness. TAHC continues to evaluate other unrelated horses with clinical signs, but no additional cases have been confirmed at this time. To be consistent with reports from the United States Department of Agriculture (USDA) and other states, the TAHC is following USDA guidelines for clinical and suspect cases which have very specific criteria to meet the case definition. Currently “suspect” and “confirmed” cases will be the two types of cases that the TAHC reports. TAHC officials urge Texas horse owners to be vigilant of the possibility that exposed horses may still be incubating the disease. Horse owners should contact event organizers in advance to ensure that scheduled events have not been cancelled. 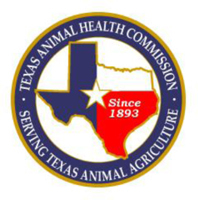 The Texas Animal Health Commission (TAHC) has no plans to change entry requirements for equine animals or to mandate cancelling any equine events at the present time. The TAHC will re-evaluate this position after analyzing new case data or other epidemiological information that arises. For information regarding EHV-1, visit www.tahc.state.tx.us. Several useful links can also be accessed through our website. You can also keep up with EHV-1 information through our Facebook (www.facebook.com/TexasAHC) and Twitter (www.twitter.com/TAHC) sites.